Hello again my citizen science friends! We haven't talked about our colleagues at the Zooniverse for a few weeks, so let's check back in and catch up on some more of their intriguing projects. This week we're looking at the Galaxy Zoo: The Hunt for Supernovae project. Developed in partnership with the Palomar Transient Factory, this project asks users to look for changes in the brightness of stars over time. Some of the largest brightening possible comes when a star explodes into a supernova and this project is dedicated to identifying those events. Future projects may look at other brightenings such as those caused by alien planets crossing in front of the star or internal changes in the star's core. For now it's just supernovae but all are interesting projects we look forward to in the future. But back to the project at hand. In the supernova hunt computers are used to identify changes in brightness in a given area, laying a new image on top of an old one and "subtracting" the old one so only the new brightness can be seen. This is a sure sign of a important event, but computers often make mistakes and they can't accurately analyze what the image shows. That's where we come in. Participants are asked to confirm that a brightening has indeed taken place and provide some basic information about it so astronomers can analyze it further. Not only does this narrow down the candidates for further study but it also provides a good count of the brightenings that occur, either because of supernovae or from other astronomical events. But hey! There's even more. Because not only is this project valuable from a scientific standpoint and interesting from an exploding star standpoint, it's also one of the easiest projects to learn and a great way to get started as a citizen scientist. Just look at a picture and answer a few basic questions (Is it circular? Is it symmetrical?, etc.). That's all there is to it. And since the computer has already identified the promising candidates you are looking at, odds are high that some interesting space-based event is happening in every picture you review. No searching through dead-ends here! Visit the Galaxy Zoo: The Hunt for Supernovae web page and click "Get Started" to sign in with your existing Zooniverse profile. If you have not previously registered for another of their projects all it takes is your name, e-mail address, and a password to sign up. Click on Galaxy Zoo Supernovae: How to Take Part for a tutorial on analyzing supernova images. After learning what to do you'll be presented with before and after test shots of the same spot in space and asked to compare the images. After answering each question roll your mouse over the final image for the correct answer. Keep answering the examples until you become an expert. 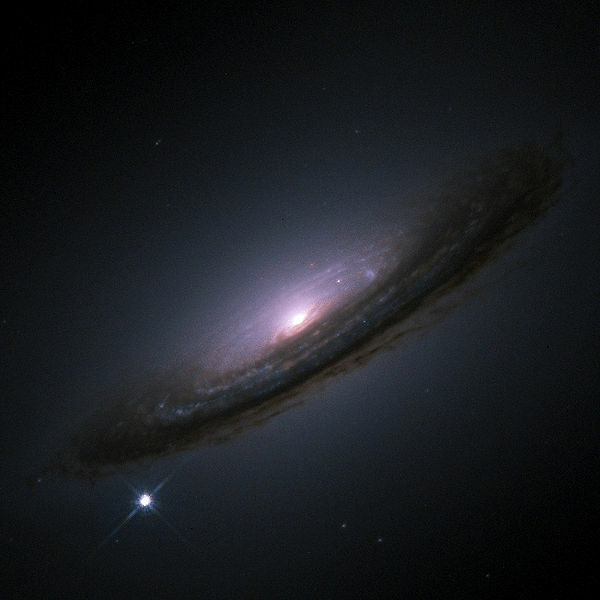 Click on Galaxy Zoo Supernovae: Hunt for Supernovae to see new images and record your answers. Don't worry about being perfect on each image...many users from across the world are also reviewing each one so a consensus answer of everyone's expertise can be used. That's it! The project continues adding new images as more telescope images are processed, and admittedly some days there are no new images for analysis. But the number keeps increasing and will increase even more once additional objects (such as alien planets and other causes of brightness change) are added to the mix. So what are you waiting for? Sign up and start having fun. A few weeks ago the National Geographic project was highlighted in some newspaper articles. But they only touched the surface and didn't describe how to get involved...so that's where OpenScientist comes in! We'll explain what it's all about and show you how to join up with the expedition crew. Genghis Khan and three of his sons, as depicted on a fifteenth century illustration. Over 800 years ago Genghis Khan united the nomadic tribes of Mongolia and set off in conquest to found the Mongol Empire. He conquered and ruled an empire larger than any other in history, but upon his death he faded from history and left no trace of his burial. His tomb has been lost with no expeditions successful to date in finding it. The "Valley of the Khans" project is now the latest expedition to search for his tomb using satellite imagery taken of the entire country. Other expeditions have tried this but the sheer amount of imagery and inability to identify promising sites have led to failure. But this project is different. The team is asking citizen scientists like us to analyze the data for them, betting that the human eye can identify interesting sites much more quickly and efficiently than computers can. But that's not the best part. The field team is often actively searching in Mongolia as users analyze the images...allowing a real-time investigation everyone can be involved in. So we can just follow them on their expedition blog. Of course the field team is back in the States as I write this but will be returning in the future. The site also provides a great tutorial for new users just learning the system. Users are shown a series of images and asked to tag all the major items they see (such as rivers, ancient structures, etc.) The early ones have already been well analyzed by the research team and will help show you things you may have missed. In some, a khirigsur can be seen (a bronze age rock formation used to indicate ancient tombs), and in others a well-trained eye can even spot the expedition team traveling the countryside! As you get more proficient, the expert level increases and you continue tagging images, but are then shown results from other users so you can compare answers and re-evaluate any potential sites you may have missed. Visit the Field Expedition: Mongolia web page and watch the video tutorial describing the project and how volunteers can help. Click on the Register tab and provide some brief name/password information to sign up. Be sure to scroll through all parts of the image. Often things are hiding outside your browser's viewscreen. Take your time analyzing each picture. The site waits a while before offering new images so patience is rewarded with a new image instead of repeating the previous one. That's all there is to it. The more you practice and compare your answers the better you will get. Soon you can help find 3,000 year old burial mounds like the team did in this field posting, or better yet, find the Khan's tomb itself!